Home/Investigators and Research Centers/Investigators/Richard T Scott, M.D.,H.C.L.D. Richard T. Scott, Jr, MD, HCLD/ALD FACOG is the Chief Executive Officer for IVIRMA Global. Additionally, he is the Clinical Director, Andrology and Endocrinology Laboratory Director, and Embryology Director of RMANJ. 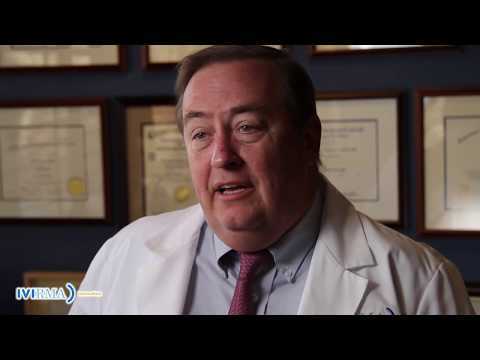 Dr. Scott has served many roles in the American Society for Reproductive Medicine. He has also served on the national Board of Directors of Resolve and as Scientific Director as a member of the national Board of Directors for the American Fertility Association, both national patient advocacy groups helping infertile patients. Dr. Scott has served on the scientific advisory boards, including as Chairman, for several large pharmaceutical companies and biotechnology firms which do work in our field. Dr. Scott also organizes and chairs the largest review course in Reproductive Endocrinology – The Frontiers in Reproductive Medicine. Dr. Scott is board certified in three specialties including Obstetrics and Gynecology, Reproductive Endocrinology, and as an Embryologist, Andrologist, and High Complexity Laboratory Director. He is also trained in Aerospace Medicine. Dr. Scott serves as an Associate Editor of Fertility and Sterility and is an ad hoc reviewer for more than a dozen other journals. He has edited two textbooks. Dr. Scott has authored more than six hundred peer reviewed, invited contributions, chapters, and published abstracts. He has also been invited to speak more than five hundred times at international meetings, conferences, and grand rounds at major universities and teaching centers around the world on six continents. Dr. Scott’s research focuses on factors which influence the reproductive competence of individual embryos, oocytes, and spermatozoa, ovarian reserve, GnRH analogs, follicular stimulation, reproductive genetics, molecular genetics, and molecular biology. 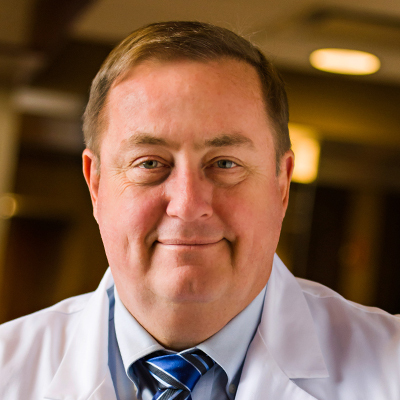 Dr. Scott has received more than forty seven awards for best research at major national and international meetings in embryology and Reproductive Endocrinology. He was named American College of Obstetrics and Gynecology Professor of the Year at age 32 in 1990. Knowledge gaps in male infertility: a reproductive endocrinology and infertility perspective. Transl Androl Urol, 7(Suppl 3):283-291, 2018. The pros and cons of preimplantation genetic testing for aneuploidy: clinical and laboratory perspectives. Preclinical Validation of a Targeted Next Generation Sequencing-based Comprehensive Chromosome Screening Methodology in Human Blastocysts. Extracellular vesicles: a promising tool for assessment of embryonic competence. Curr Opin Obstet Gynecol, 30(3):171-178, 2018. Data sharing requirements: perspectives from three authors. Fertil Steril, 109 (1):44-47, 2018. J Vis Exp, 134:NA-NA, 2018. Genetic mutation that may contribute to failure of prolapse surgery in Caucasian women: A case-control study. J Minim Invasive Gynecol, 23:726-30, 2016. Expression and characterization of three Aurora kinase C splice variants found in human oocytes. Mol Hum Reprod, 21:633-44, 2015. Endometrial infusion of human chorionic gonadotropin at the time of blastocyst embryo transfer does not impact clinical outcomes: a randomized double-blind, placebo controlled trial. Lack of association of KATNAL1 gene sequence variants and azoospermia in humans. J Assist Reprod Genet, 31:1065-71, 2014. Extended culture and the risk of preterm delivery in singletons: confounding by indication? Hum Reprod. Jul 2013; 28 (7): 2021. Could Safety Boards provide a valuable took to enhance the safety of reproductive medicine? Fertil Steril, 100: 1518-1523, 2013. The Paradigm of Clinical IVF is shifting: The Time to Incorporate Validated Technologies and an Enhanced Understanding of Physiology is now. J Clin Embryology, 16:104-106, 2013. Tracking embryo implantation using cell-free fetal DNA enriched from maternal circulation at 9 weeks gestation. Mol. Hum. Reprod, 17:434-438, 2011. Logarithmic curves depicting initial level and rise of serum beta human chorionic gonadotropin and live delivery outcomes with in vitro fertilization: An analysis of 6021 pregnancies. Fertil Steril, 91: 1963-1965, 2009. A luteal estradiol for anticipated poor–responder patients may improve delivery rates. Fertil Steril, 91:739- 43, 2009. Leukemia inhibitory factor induces cumulus expansion in immature human and mouse oocytes and improves mouse two-cell rate and delivery rates when it is present during mouse in vitro oocyte maturation. A luteal estradiol protocol for poor-responders improves embryo number and quality. The predictive value for IVF delivery rates is greatly impacted by the method used to select the threshold between normal and elevated basal FSH. Low dose aspirin use does not improve in vitro fertilization outcomes in poor responders. Fertil Steril, 89: 1113- 1117, 2008. Patient-friendly IVF: how should it be defined? Value of basal FSH: prognostic implications for pregnancy outcome. A new follicle aspiration set is equally effective and as well tolerated as the standard needle when used in a prospective randomized trial in a large in vitro fertilization program. Efficacy and safety of ganirelix acetate versus leuprolide acetate in women undergoing controlled ovarian hyperstimulation. Reproductive outcome in patients with diminished ovarian reserve. Evaluation of basal estradiol levels in assisted reproductive technology cycles. Basal antral follicle number and mean ovarian diameter predict cycle cancellation and ovarian responsiveness in assisted reproductive technology cycles. Triplets: outcomes of expectant management versus multifetal reduction for 127 pregnancies. Am J Obstet Gynecol, 183:454-9, 2000. Antithyroid antibodies do not affect pregnancy outcome in women undergoing assisted reproduction. Increased prevalence of antithyroid antibodies in women with recurrent pregnancy loss but not in women undergoing assisted reproduction. Women with declining ovarian reserve may demonstrate a decrease in day 3 serum inhibin B before a rise in day 3 follicle-stimulating hormone. Microdose follicular phase gonadotropin-releasing hormone agonist (GnRh-a) compared with luteal phase GnRh-a for ovarian stimulation at in vitro fertilization. Pretreatment evaluation and screening for ART. Ooplasmic transfer in mature human oocytes. Mol Hum Reprod, 4:269-80, 1998. First pregnancies after preconception diagnosis of translocations of maternal origin. Spontaneous abortions are reduced after preconception diagnosis or translocations. J Assist Reprod Genet, 15:290-6, 1998. The detection of diminished ovarian reserve in infertile women. Am J Obstet Gynecol, 179:804-12, 1998. Response to Letters to the Editor. A negative study with power. Use of anucleate donor oocyte cytoplasm in recipient eggs. Birth of infant after transfer of anucleate donor oocyte cytoplasm into recipient eggs. Infert Reprod Med Clin NA, 8:501-522. 1997. Ed by Rogerio A. Lobo, Serono Symposia, 119-43. 1997. Antiphospholipid antibodies and pregnancy rates and outcome in IVF patients. In Vitro Fertilization and Assisted Reproduction, eds V Gomel and PCK Leung, Monteziore Editore, Bolgna, Italy, 855-60. 1997. Evaluation of the prognostic significance of day 3 E2 levels in in vitro fertilization. In Vitro Fertilization and Assisted Reproduction, eds V Gomel and PCK Leung, Monteziore Editore, Bolgna, Italy, 881-6. 1997. Evaluation of the prognostic significance of day 3 FSH:LH ratios in in vitro fertilization. In Vitro Fertilization and Assisted Reproduction, eds V Gomel and PCK Leung, Monteziore Editore, Bolgna, Italy, 343-48. 1997. Intraobserver, interobserver variation of sperm critical morphology: comparison of examiner and computer-assisted analysis. In vitro fertilization outcome in women with hydrosalpinx. Efficacy of selection criteria for ovarian reserve screening using the clomiphene citrate challenge test in a tertiary fertility center population. Characteristics of gonadotropin response, follicular development, and endometrial growth and maturation across consecutive cycles of clomiphene citrate treatment. Endometrial thickness is predictive of histologic endometrial maturation in women undergoing hormone replacement for ovum donation. Premature luteinization during controlled ovarian hyperstimulation for in vitro fertilization-embryo transfer has no impact in pregnancy outcome. Evaluation and treatment of low responders. Evaluation of the reproductive performance of women with elevated day 10 progesterone levels during ovarian reserve screening. Ob/Gyn Digest, Invited Abstract of Manuscript published in Fertility and Sterility, 27-29. 1995. Prognostic assessment of ovarian reserve. Fertil Steril, 63:1- 11, 1995. Use of the GnRH-agonist stimulation test in the diagnosis of ovarian remnant syndrome. Measures of Association - Smoking and Fecundity. Response to the Letter to the Editor "Screening for Ovarian Reserve". Differential down regulation of gonadotrope responsiveness following pulsatile GnRH-agonist administration in the presence and absence of long term GnRH-antagonist therapy. Life table analysis of cumulative pregnancy rates based on the results of ovarian reserve screening and patient age in a general infertility population. Epidermal growth factor (EGF), transforming growth factor-alpha (TGF-alpha), and their common (EGF) receptor. Potential relevance of this growth factor receptor system in normal human endometrium. Semin in Reprod Endocrin, 13:109-19. 1995. Seminars in Reprod Endocrinol, 1-14. 1995. The embryo, the endometrium and the patient. Perspectives on Assisted Reproduction. Ares-Serono Symposia Publications; Boston, MA, 347-52. 1994. Comparison of leuprolide acetate and hCG for the induction of ovulation in clomiphene citrate stimulated cycles. Immunohistochemical localization of transforming growth factor-$ in human implantation sites. J Clin Endocrinol Metab, 78:592-6, 1994. In vivo effects of potent GnRH antagonist ORG 30850; Physiologic evidence that down-regulation of GnRH receptors does not occur. J Soc Gynecol Invest, 1:290-6, 1994. Enhancement of ovarian responsiveness with micro-doses of GnRH-agonist during ovulation induction for in vitro fertilization. Gonadotropin releasing hormone antagonist administration enhances gonadotrope responsiveness at doses inadequate to suppress circulating immunoassayable gonadotropin levels. Cigarette smoking accelerates the development of diminished ovarian reserve as evidenced by the clomiphene citrate challenge test (CCCT). Ultrasound monitoring of Controlled Ovarian Hyperstimulation. Ultrasongoraphic evaluation of the endometrium during ovulation induction cycles. Imaging in Infertility and Reproductive Endocrinology, R Jaffe, R Pierson, and J Abramowicz eds. JB Lippincott, Philadelphia PA, 53-62. 1994. The assisted reproductive technologies in the treatment of male factor infertility. Management of Impotence and Infertility, edited by ED Whitehead and HM Nagler, Williams and Wilkins, Baltimore, MD, 321-38. 1994. Evaluation of the significance of a poor estradiol response during the clomiphene citrate challenge test. Letter to the Editor regarding "Establishment of An Assisted Reproduction Program in the Armed Forces". Transforming growth factor-in human implantation trophoblast: Immunohistochemical evidence for autocrine/paracrine function. J Clin Endocrinol Metab, 76:781-5, 1993. Establishment of An Assisted Reproduction Program in the Armed Forces. Gonadotropin responsiveness to ultra low dose leuprolide acetate administration in baboons. Immunohistochemical localization of transforming growth factor- in human endometrium, decidua, and trophoblast. J Clin Endocrinol Metab, 76:786-92, 1993. A prospective evaluation of clomiphene citrate challenge test screening in the general infertility population. The duration of leuprolide acetate administration prior to ovulation induction does not impact ovarian responsiveness to exogenous gonadotropins. Evaluation of the impact of intra-observer variability on endometrial dating and the diagnosis of luteal phase defects. Ultrasound monitoring. Ovarian Stimulation Monitoring: A roundtable review by L. Bonaventura. 2nd in The Clinical Perspectives in Reproductive Endocrinology Series,1993. Creatine kinase as a marker for preterm labor. Am J Perinatology. 9:456-59, 1992. Intl J of Fertility, 37:41-3, 1992. Pharmacokinetics of percutaneous estradiol: A crossover study using a gel and a transdermal system in comparison with oral micronized estradiol. Immunohistochemical localization of epidermal growth factor (EGF) in human endometrium, decidua and placenta. J Clin Endocrinol Metab, 73:882-87, 1991. A human in vivo model for the luteo-placental shift. Results of a prenatal screening program for the human immunodeficiency virus in a cross-sectional population. J Reprod Med, 36:773-8, 1991. Adol Ped Gynecol, 4:119-28, 1990. Acute Changes in serum estradiol concentrations do no elicit changes in serum osteocalcin concentrations. Hemizona assay: Assessment of human spermatozoa dysfunction and its correlation with in vitro fertilization results. Advances in Assisted Reproductive Technologies, Edited by S Mashiach, Z Ben-Rafael, N Laufer and J Schenker. New York, Plenum Press, 515-24. 1990. GnRH antagonists: New developments for indications in reproductive medicine. Advances in Assisted Reproductive Technologies, Edited by S Mashiach, Z Ben-Rafael, N Laufer and J Schenker. New York, Plenum Press, 213-20. 1990. The ovarian follicle: Life cycle of a pelvic clock. Clin Obstet Gynecol, 33:551. 1990. Amer J Obstet Gynecol, 163:728-32, 1990. Transplacental transfer of zidovudine (AZT) in the near term pregnant baboon. Effects of leuprolide acetate on follicular fluid hormone composition at oocyte retrieval for in vitro fertilization. Immunoreactive epidermal growth factor concentrations in follicular fluid obtained from in vitro fertilization. Intercycle variability of day 3 follicle-stimulating hormone levels and its effect on stimulation quality in in vitro fertilization. Non-functional cysts do not affect ipsilateral or contralateral ovarian performance during in-vitro fertilization. The incidence of hyperprolactinemia in gonadotropin stimulated cycles for in vitro fertilization and its effect on cycle quality and pregnancy outcome. Effects of clomiphene citrate on episodic luteinizing hormone secretion throughout the menstrual cycle. Amer J Ob Gyn, 161:581, 1989. Follicle stimulating hormone levels on cycle day 3 are predictive of in vitro fertilization outcome. Validation of the hemizona assay (HZA) in a monkey model: Influence of oocyte maturational stages. A prospective randomized comparison of single and double lumen needles for transvaginal follicular aspiration. J In Vitro Fert Embryo Transfer, 6:98, 1989. Maternal height and weight gain as risk factors for cesarean section. Hormonal manipulation of endometrial manipulation. J Clin Endocr Metab, 68:801, 1989. Ovulation induction for assisted reproduction. J Reprod Med, 34:42, 1989. Assisted reproduction in the diagnosis and treatment of the male factor. Obstet Gynecol Surv, 44:1, 1989. Transdermal estrogen replacement in ovarian failure for ovum donation. The effect of interobserver variation in dating endometrial histology in the diagnosis of luteal phase defects. Spontaneous and pharmacologically induced remissions in patients with premature ovarian failure. Maternal arterial oxygen desaturation with treatment of uterine atony with 15-methyl prostaglandin F2 alpha. PGS and Mosaicism: what does the future hold?